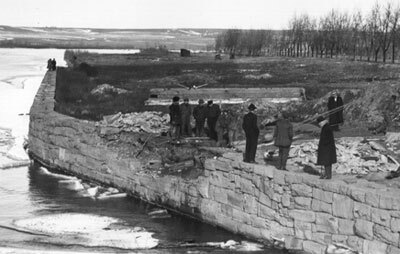 In late January of 1913 Milwaukee Road executives view initial work on the south shore of the Missouri. 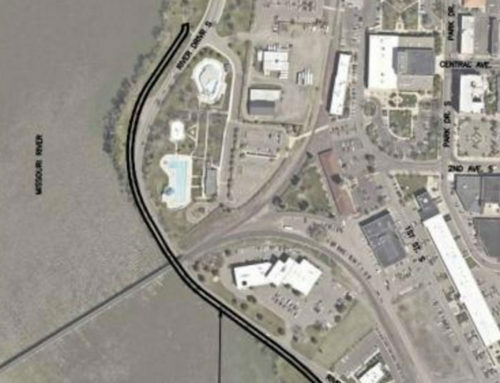 The extensive tree nursery of Paris Gibson seen here was later moved to make way for the railroad berm linking the depot and the new bridge. 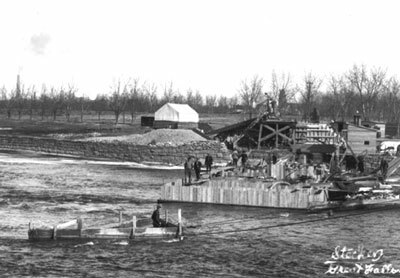 By early February of 1913 work progresses on the east approach bulkhead and pier caissons. 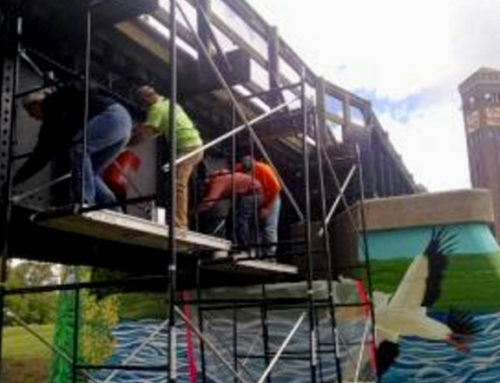 Water is seen being pumped from the completed forms. 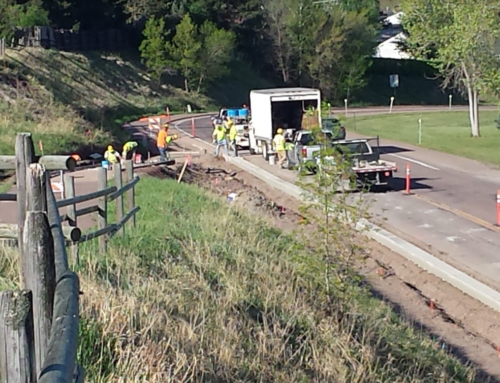 Photo was taken from the “Wagon Bridge” located just upstream from the construction. 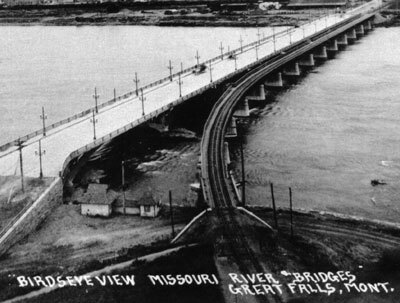 The first “Wagon Bridge” across the river at this location is seen at right in this 1913 photo. 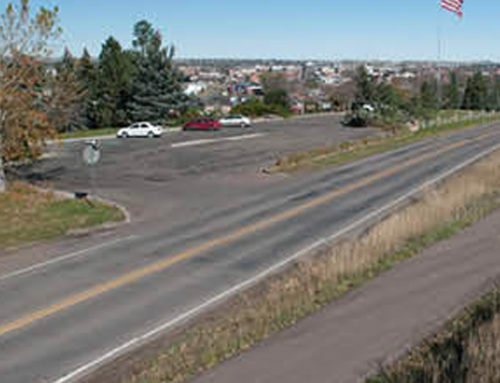 Bridge piers are nearing completion on bridge NM-38, now the Weissman Trail Bridge. 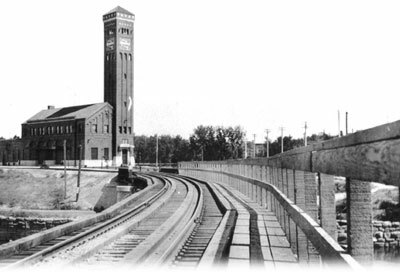 The Milwaukee Depot is seen from the curved section of the bridge in this photo from the 1920s which also shows the original wood railings. 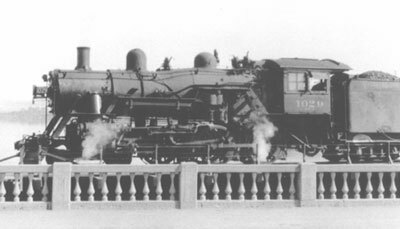 A Milwaukee locomotive crosses the bridge, possibly on its way to Agawam, in this photo from the late 1940s. 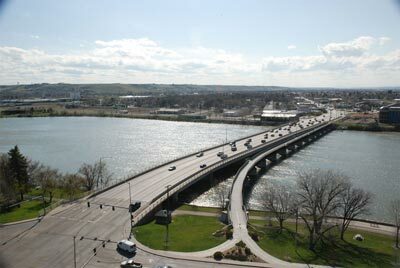 The photo was taken from the former concrete arch bridge at 1st Ave. North, a sister to the 10th Street Bridge. 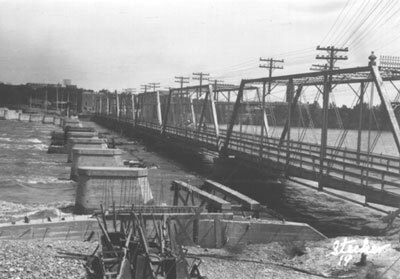 The future Weissman Trail Bridge, seen here in 1920 next to the “new” 1st Ave. N. bridge that replaced the original Wagon Bridge at this location. Photo was taken from the tower of the Milwaukee Depot. Fast forward to this 2009 photo. 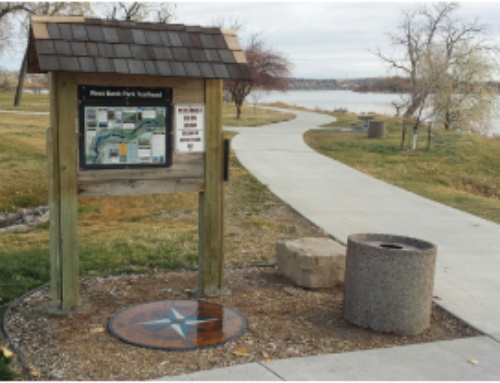 Thanks to generous donors to the “Planks for the Memories” Capital Campaign and dedicated Montana Conservation Corps crews and volunteers, the Maurice B. Weissman Memorial Trail Bridge has become a cherished part of our urban trail system.